Special Kit Shipping Note: Any package over 1 cubic foot volume going to destinations beyond USPS Zone 4 will be shipped by UPS Ground or rarely Parcel Post, regardless of shipping method chosen or paid for. USPS charges a "Balloon Rate" turkey charge (same rate as 20lbs) for large light weight packages. For example; A Slow Stick kit to California by Priority Mail cost about $30 to ship. This policy only applies to orders containing larger kits, ARF's, radio systems and similar bulky boxes 1 cubic foot or larger. International Shipping Estimates: We are sorry, we do not do international shipping estimates prior to receiving an order. We are happy to do this for real orders that are placed on the website. 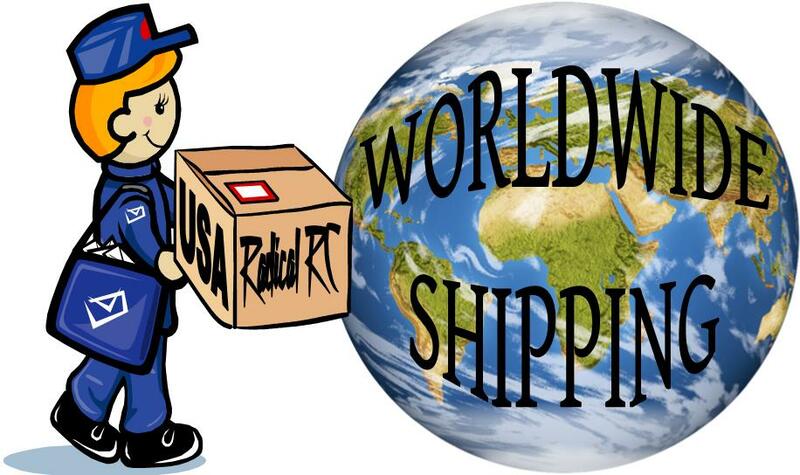 International Shipping (Outside USA) Procedures:We do not ship by UPS or FedEx internationally. We ship by International orders by USPS only unless you make special arrangements with us. We do not markup international shipping other than to round to nearest $1. You are paying what it costs. Paypal customers will receive a "Invoice from PayPal Money Request" for the shipping amount. Credit Card Customers with shipping of $15 or less will receive a second charge for the actual shipping amount. If the amount is over $15, we will inform you of the shipping amount and ask permission to charge your card. By placing an order and using a credit card, you are pre-approving a second charge up to $15. If you don't want to pay what it costs to ship your goods, your order will be refunded. Understand we treasure our international customers. We do everything possible to get your goods to you quickly and as inexpensively as possible. Many small orders which are a few ounces (100 grams) or less go out for just $4. We want your future business. Be aware items over 24" long can only ship by International Priority Mail and this can be quite costly. A recent 5lb 36" long kit was $51 to Australia. Yikes! Check www.usps.com if you want to get a feel for what different weights cost. Your Shopping Cart: Please check your order for accuracy, thank you.